Check operation of back pressure valves. Carry out review of hazard to check the hazard classification is still valid and that the building structure has not changed to affect sprinkler operation. 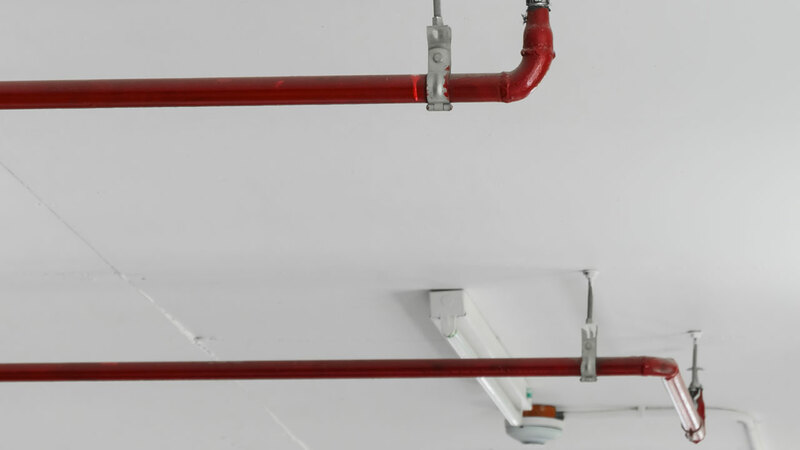 Inspect all piping and pipe supports for damage, corrosion, corrosion protection or leaks. Inspect all sprinklers and Multiple Jet Controls for damage, corrosion, corrosion protection, dirt or paint build up and leaks. Any defects should be rectified by cleaning or replacement. Spray booth sprinklers may require more frequent inspection. Check the clearance between sprinkler heads and goods is correct. Test all flow switches on life safety systems for correct operation.